When you receive a letter/email from Companies House explaining that your confirmation statement is due, you can file your statement using the steps below. 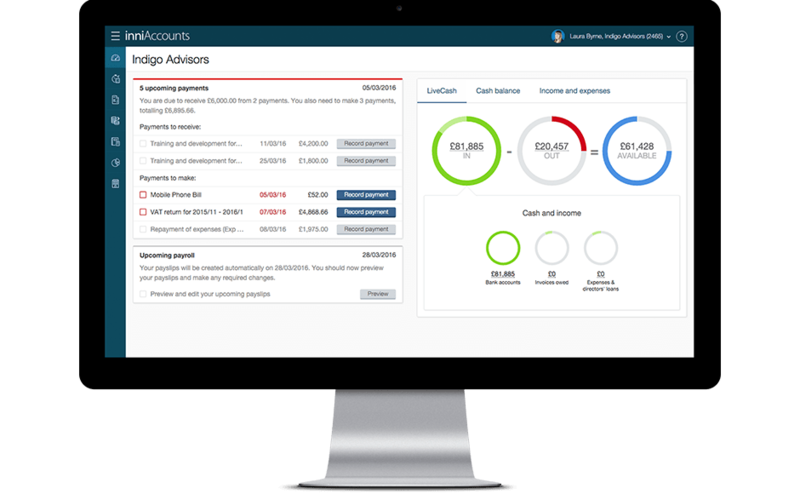 If you are an existing client of inniAccounts we can take care of this for you if you prefer – simply ask your account manager about our £35 one off fee (which includes the £13 filing fee) or about adding our Company Secretarial Service to your package. First, you will need a login for Companies House website – you can create one by registering here. You’ll need to use your registered email address and security code to login to WebFiling. If you have forgotten your security code you can enter your email address to get a reminder sent to you by email. Once you’ve logged in, you will then need to complete an additional login step for the company you are filing your statement for. To do this, you will need the company registration number and Authentication Code that were provided when your company was formed. If you can’t find your authentication code please contact your account manager. Alternatively you can login to WebFiling and request a reminder that will be posted to your registered office address within a few days. Once logged into WebFiling you will be presented with a screen that will clearly show when your confirmation statement is due by. Select File confirmation statement. You will now need to follow the instructions throughout the form. Your PSC register is part of the CS01 document for your confirmation statement. You will first need to complete your PSC register details. Select Add a PSC notification. Enter all the details of your PSC including their name, date of birth, nationality, residential address and service address. You’ll also need to include the date when they became a PSC and how they are a PSC (e.g. they hold more than 25% of your company’s shares). If you are unsure about any PSC in your company, you should check your records of association, which will stipulate the control individuals have in shares and voting. Finally submit the notification. Remember you will need to submit a PSC notification for all PSC in your company. Next, you will need to work your way through the questions concerning your company and confirm the information held. At the end of the process, if you have not paid your £13 filing fee for the year, you will be asked to settle the payment using a credit or debit card. If you use a personal card you can claim the fee back from your company. Companies only have to file one confirmation statement every twelve months. However, you can choose to file a confirmation statement early, or more frequently than once a year. If you file more than one confirmation statement in a twelve month period, you’ll only need to pay the fee once. Should you update your confirmation statement throughout the year, your confirmation statement deadline will change to the new ‘made up date’, which is always 12 months from the last time you completed a confirmation statement. If you amend any of the records at Companies House when filing your statement, please let us know so that we can ensure our records are up to date. I have downloaded for free the AR01 form from the Companies House website and now it is on my iPad. I can print it off and fill it out but this is supposed to cost £40 and I am worried if I try to file this Companies House will not accept it. John, you are best to file your Annual Return form online. You will need an authentication code so will need to register first if you haven’t done so already. The fee is then only £13. As a sole director and shareholder should I also be registered as a PSC? As far as I can tell, the answer is no, but I would appreciate advice on the matter. When you complete your Confirmation Statement at Companies House you will be asked for information relating to People with Significant Control (PSC). If you own more than 25% of the shares in your company then you are a PSC, therefore in your case, as the 100% shareholder you will need to be included as a PSC. There is no requirement to register before your first confirmation statement is due.